The carving hands behind the most delightful, mouth-watering food that many of us eat in most of the fine-dine restaurants are many a times, left unknown. 'The Chef Post' that recognizes these Men in White is a great way to uplift their integrity! On reaching his real home - the kitchen, he wears his apron, then the gloves, and his crown, begins to think what new can excite the receivers of his creations, excites the team, performs his first magic, then the next and the next, till he satisfies every single soul that continues to ask for the entire day, with no expectations of being recognized, goes back to sleep with the only thought to create something better the next day – is the daily act of these magicians who create the delicious food that we eat at restaurants! To recognize their selfless efforts and to give them the joy of sharing their story of 'Reaching the destiny', is the reason to create this phenomenal platform - The Chef Post, that shall also connect the foodies with their favourite chefs. “Although we savour the food at a restaurant, we hardly make an effort to ask who the chef is. The same was the inspiration to create The Chef Post where the chefs are recognized and at the same time, are connected with the enthusiasts!” said Sneha Chandrashekhar - the face behind the platform, a first generation entrepreneur, who is also the founder of Black and White Tech Writing Solutions. 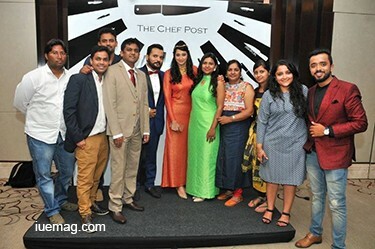 The Chef Post had its grand launch on the 10th of September, 2016, at Hotel Shangri-la, Bengaluru, India, with invitees within the network, that included the closest of friends, relatives, clients and celebrities from various industries. 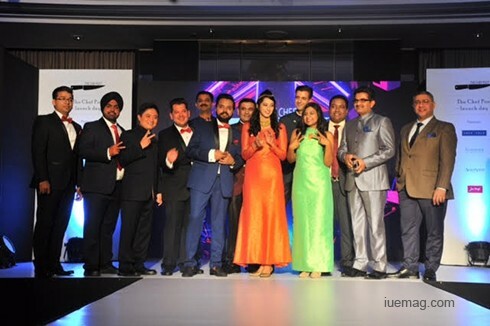 Needless to say about the presence of the show-stealers ­– the Chefs from various luxury hotels - Chef Naren Thimmaiah (Taj Gateway), Chef Anthony En Yuan Huang (JW Marriott), Chef Lakbir Singh (Shangri-La Hotel), Chef Rayomund Pardiwalla ( Movenpick Hotel and Spa), Chef Mir Zafar Ali (The Leela Palace), Chef Anupam Banerjee (Ritz Carlton), Chef Giuseppe Lioce (Sheraton), Chef Suvaranjan Banerjee (The Lalit Ashok), Chef Amit Gera (Hilton), Chef Marouane Rahali (Marriott Whitefield) and Chef Yogen Datta (ITC Gardenia). The event was also graced by Radhika Chethan - a renowned actress from the Kannada Industry and Vinay Bharadwaj, the founder of the fashion brand Shinayele, who also spreads cancer awareness through his talk show - ‘Let’s Talk with Vinay’. Two majorly eye-catching instances of the launch were thoroughly a treat for every soul at the launch. 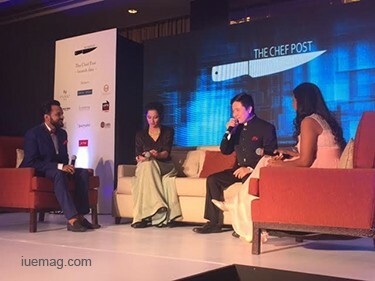 The first was a live talk show hosted by Vinay where he interacted with Sneha Chandrashekhar, Radhika Chethan and Chef Anthony En Yuan Huang, about their professional lives, the challenges that they face during their journey, the inspirations to overcome the challenges and also about their views on the platform of The Chef Post. The interaction was certainly inspiring in creating fresh thoughts and realizations. 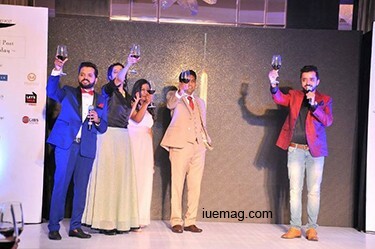 The second eye-catcher was the fashion show by the Men in White, where the chefs were made to discard their professional whites and were embellished with the specially designed suits by PN Rao. “It feels heart-warming to be a part of the launch of this one of its kind platform. It just thrills me to see these chefs who are so passionate about innovating something new every single day. This event has definitely awakened the cook in me!” stated Radhika who joined the fashion show, grinning cheerfully. Organized by the Center Stage events, the event was also supported by various other brands including Red Consulting, Kimera, GIBS, Shinayele, Jus’ Trufs and many others. Not to forget the efforts of every single member in the team of The Chef Post – Suchi N, Sachin Manjalekar, Vijeth, Jai Prakash, Shilpa and Pramod Nanjareddy, who have been a great support to kick-start a platform of this kind! The Chef Post's grand launch concluded with a vote of thanks by the founder herself and with hundreds of photo clicks. The platform that recognizes the efforts of the chefs, is sure to inspire every cook to be able to believe in oneself, build the attitude to learn more and give his/her best every single time he/she cooks! Any facts, figures or references stated here are made by the author & don't reflect the endorsement of iU at all times unless otherwise drafted by official staff at iU. This article was first published here on 14th September 2016.